In Halden municipality almost everyone agrees to the fact that welfare technology will play a central role in tomorrow's healthcare. Future patients and users will not accept anything else. Today, public health services meet challenges regarding legislation and interaction between GPs, hospitals and the municipalities, and challenges related to closed systems. Finding a solution to these challenges, is essential. Virtual Short Term Departments (VKA) is an offer to patients who have been discharged from the hospital, but are still in need of public health services. At VKAs, the patients are signed into their own homes, equipped with digital security alarms and tablets to enable direct communication with nurses. That way, the patients and their families can feel safe in their own homes, instead of being placed in a public institution. To Halden Municipality, it has always been important to keep several things in mind at the same time. Within the health sector, the municipal employees - as in most other municipalities in Norway - have experienced challenges in providing services in line with the demographic developments they are facing. The numbers of elderly and patients ready for discharge, in need of public health services, are constantly increasing. Municipal employees have made it clear that they want to build brick by brick when working to solve this problem, taking small and reasonable steps as part of a whole. Therefore, they have been concerned that the platform they choose, can be used for more than health care. Coordination is key for the future, a key that can result in better municipal services and more efficient resource utilization. The first patients of VKA in Halden municipality, could be welcomed on November 1st, 2016. But freshening up organizational culture and service innovation with technology, is demanding. VKA is initially a one-year innovation project, and it is important that everyone has the necessary patience and understanding for just that. Coordination represents a challenge for most municipalities in Norway, also concerning public hospitals. Knowing that the pressure by institutional departments increases, building one’s way out of this problem will be impossible. Nor will there be a sufficient amount of resources to continue the current way of working. Being able to offer patients good health care in the comfort of their own homes using VKA, will ease the pressure on municipal institutions considerably. Østfold University College is committed to researching the response from patients, relatives and employees using VKA. It is still too early to have a clear view on how the short term departments affect the users, but after half a year with VKA, everyone involved in the project have been intrigued by the solution. 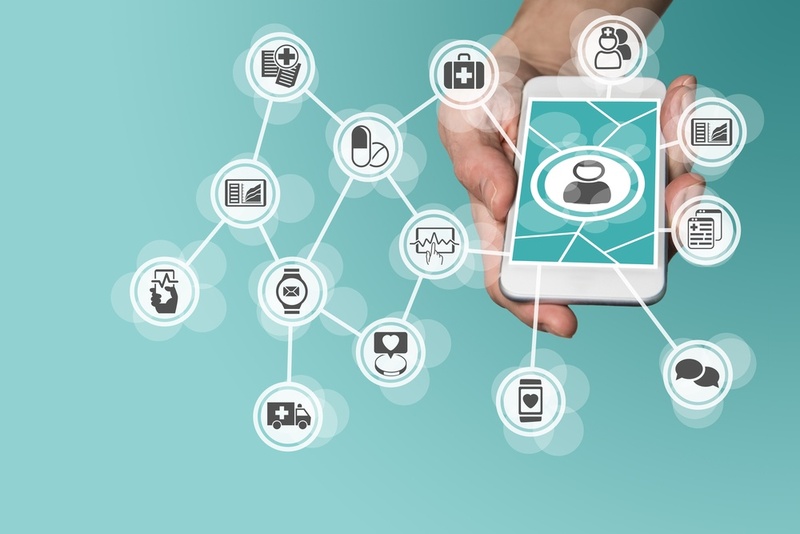 They are confident that the use of technology can contribute to better and more efficient experiences to all parts in future healthcare. 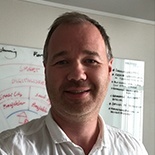 Martin Vik is Council Leader of Communication and Service in Halden municipality, responsible for maintaining a satisfactory level of service and information to the citizens. He is central in the digitalization of Halden municipality – both with regards to Smart Cities and Communities as well as the restructuring of the organization. Martin is passionate about making life easier for both citizens and municipal employees. He holds a bachelor degree in pedagogy from Østfold University College.